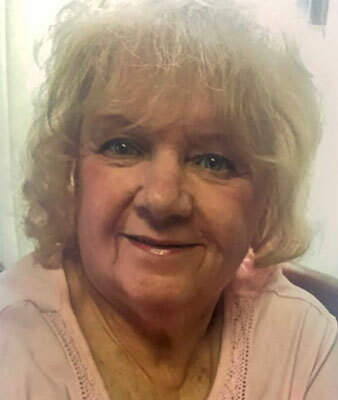 AUSTINTOWN - Prayers will begin Tuesday at 10:15 a.m. at the Higgins-Reardon Funeral Homes, Austintown Chapel, followed by a Mass of Christian Burial at the Immaculate Heart of Mary Church for Elizabeth Ann Liposchak, 78, who died Thursday morning at St. Elizabeth Youngstown Hospital. Elizabeth, affectionately known as “Betty” or “Dolly,” was born May 23, 1940, in Youngstown, the daughter of Joseph and Elizabeth (Chismar) Brosko. She was a 1959 graduate of Ursuline High School. Elizabeth’s faith was a very important part of her life and was a longtime member of the Immaculate Heart of Mary Church. She enjoyed baking and cooking, and always found a way to add an “original twist” to every recipe. Elizabeth would often say to others, “Don’t worry, it’s all good stuff!” before trying her new recipe. Elizabeth also enjoyed going to casinos. Her greatest joy was her family, especially her children and grandchildren whom she loved dearly. Elizabeth is survived by her husband, the love of her life, Michael Liposchak, whom she married May 29, 1965, and spent 53 wonderful years together; two daughters, Ann (Ronald Jr.) Sudol of Austintown and Mary (Michael) Jesko of Austintown; three brothers, Frank (Shirley) Brosko of Boardman, Charles (Irene) Brosko of Austintown and Raymond (Mary) Borosko of Youngstown; six grandchildren, Michael Liposchak, Rachael Liposchak, Matthew Liposchak, Blake Sudol, Hope Sudol and Gavin Sudol; and many nieces and nephews. She was preceded in death by her parents; sons Matthew and Michael Liposchak, whom she missed dearly; and three brothers, Bill, Joseph and Cyril Brosko.